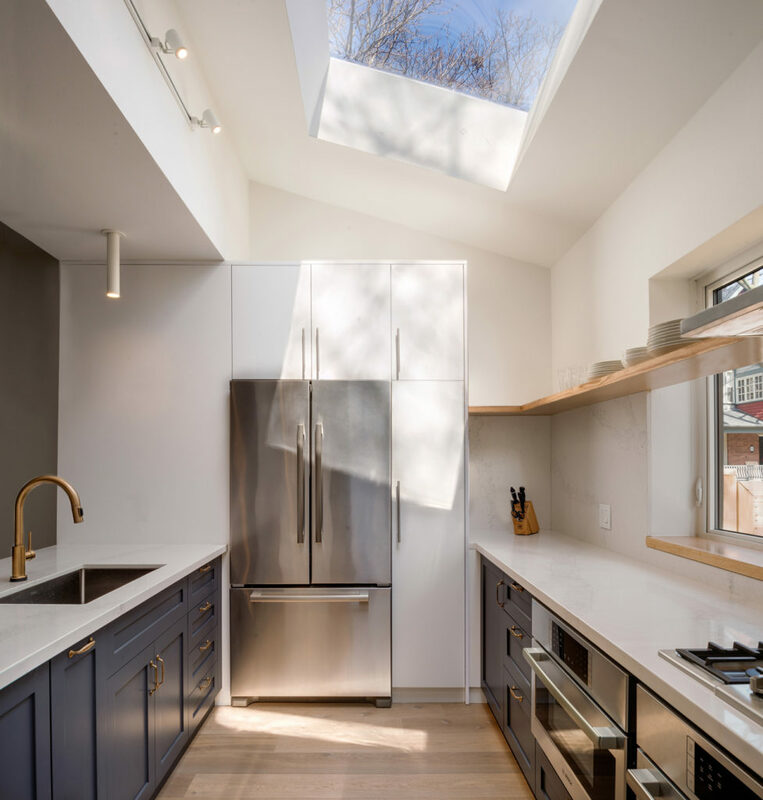 The Brief: A young family seeking new digs made an exciting find in the form of a century-old house. 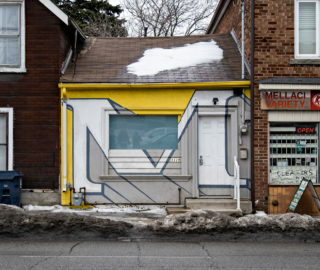 Unfortunately, it hadn’t been refreshed since the ’70s. 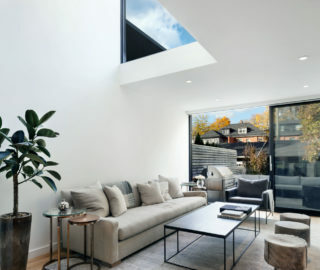 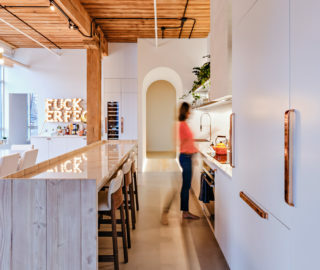 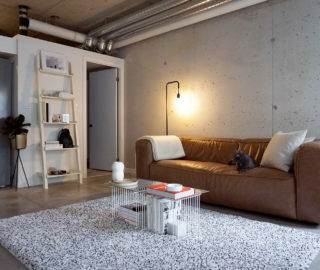 Having relocated from a loft downtown, the first-time homeowners wanted a more open-concept floor plan for the dated property – but debated about just how much modernity the house would embrace. 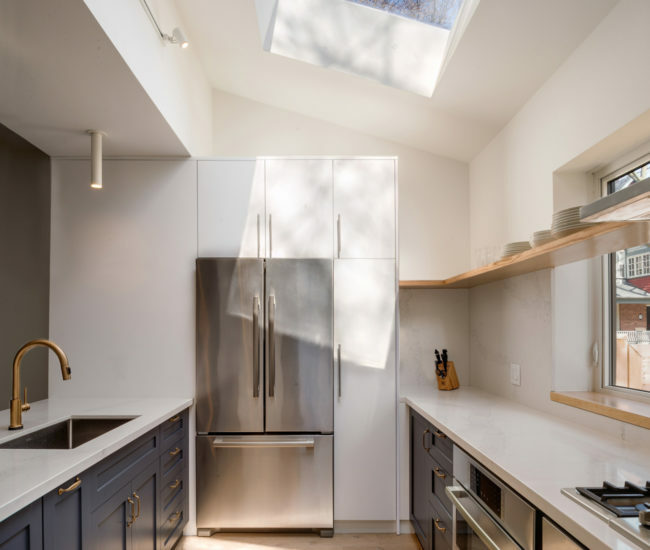 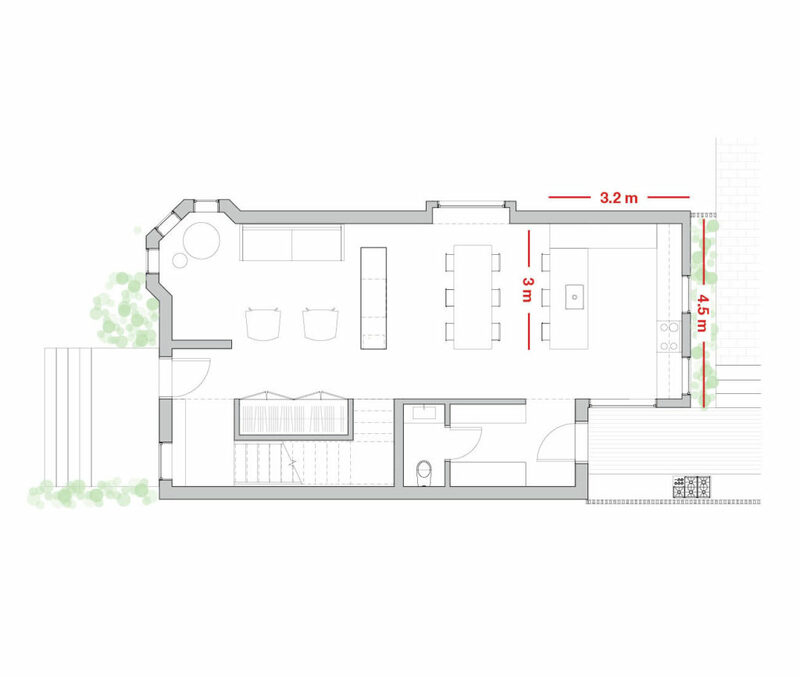 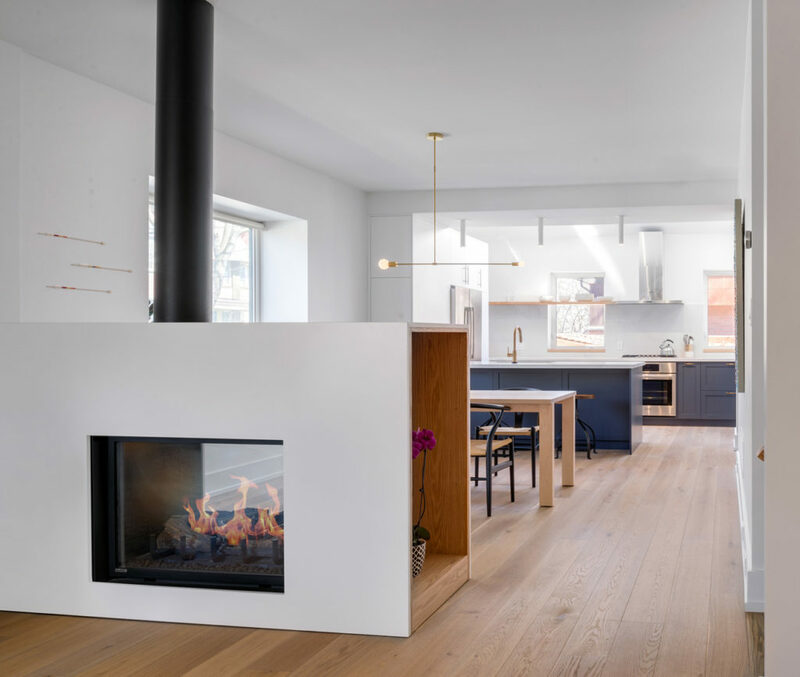 They presented their conflicting visions to StudioAC, which proposed relocating the kitchen to the rear addition’s mudroom and replacing it with something a little more simpatico. 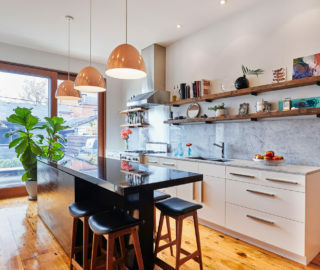 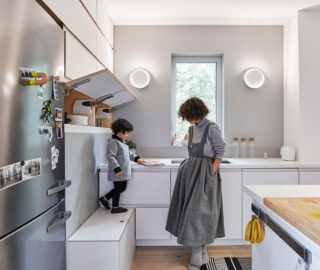 The Solution: A total gut job created a free-flowing first floor culminating in a kitchen that acts as both family hub and visual focal point. 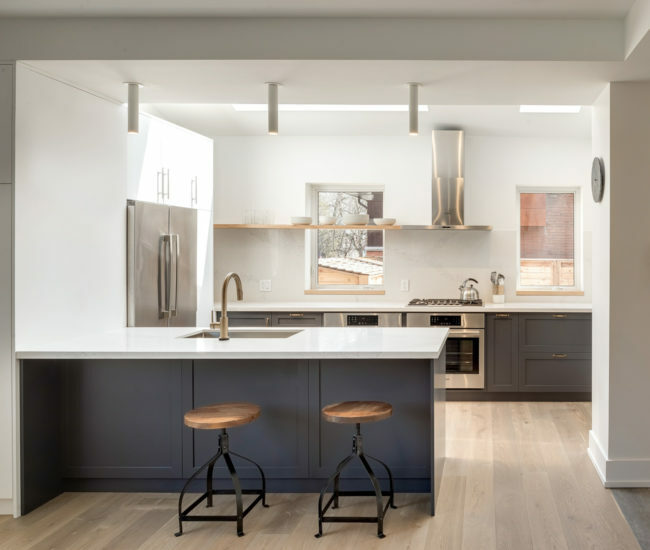 The navy and ivory cookery’s toned-down take on a high-impact palette effectively marries modern and traditional. 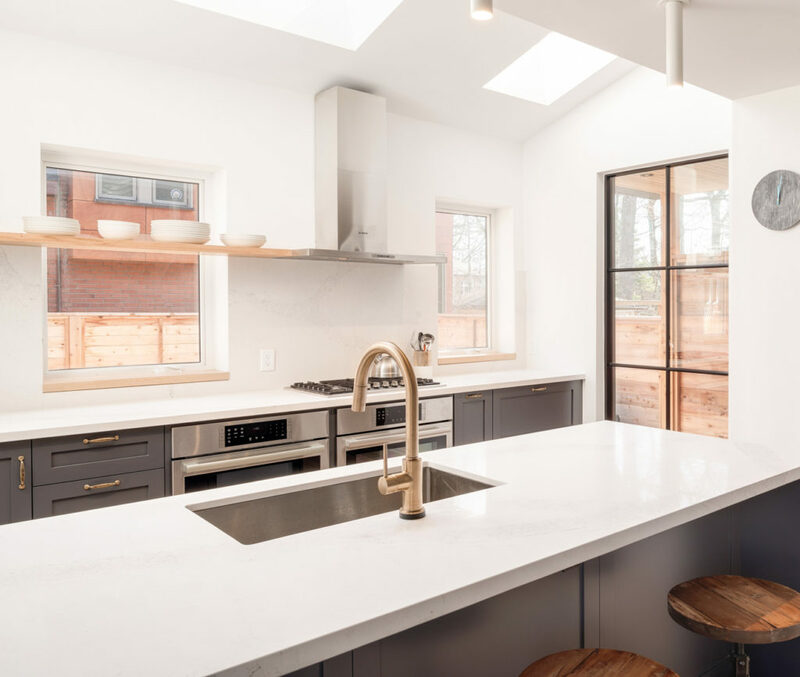 Further fusions of styles are found in the details: face-frame cabinetry adds period charm, and a sleek wooden shelf showcases minimalist serving ware. The 2.4-metre peninsula is ready for work and casual meals, while a back door off the side mudroom connects the kitchen to the cedar-clad patio. 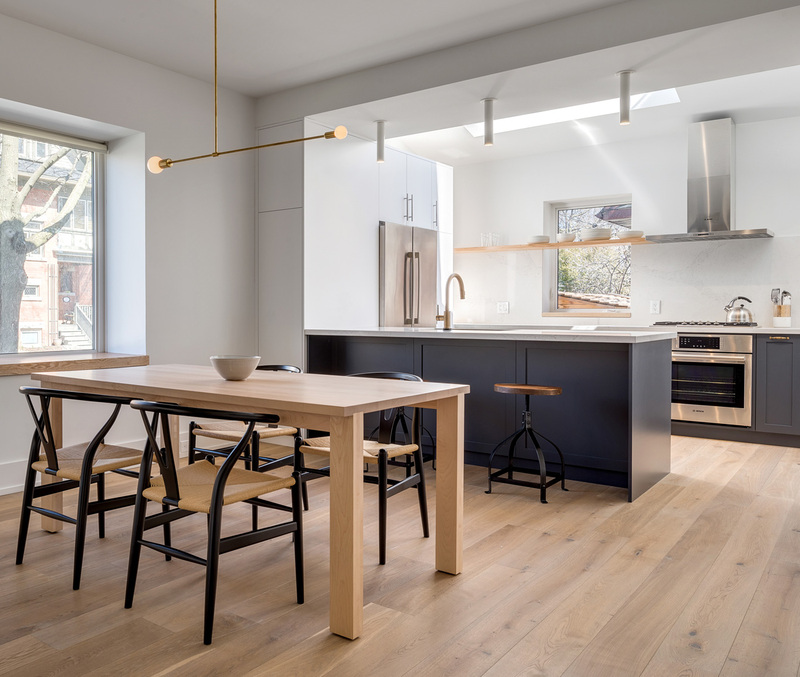 Sources: European oak flooring from Northern Wide Plank; Studio Italia Design pendants from LightForm; Windows from Jeld-Wen; skylight by Velux. Check out two other takes on the black and white kitchen palette in our roundup of high-contrast cucinas. Originally published in our Fall 2017 Issue as Triple Take: Gourmet Chic.